~~> It’s a Christmas miracle! 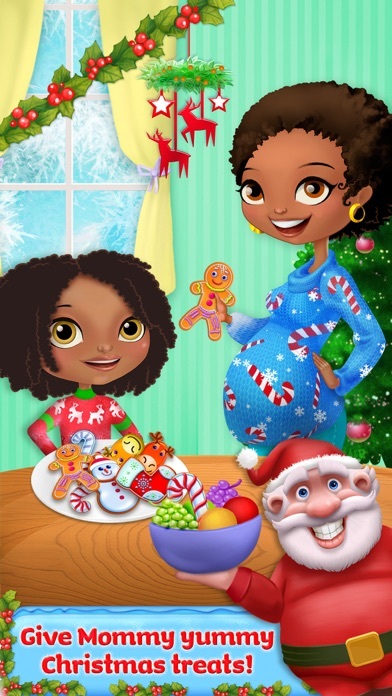 You’re about to get a baby sister - just in time for Christmas! ~~> Be the best big sister and help Mommy prepare for baby, then welcome your beautiful new baby sister - holiday style! ~~> Enjoy tons of merry activities! 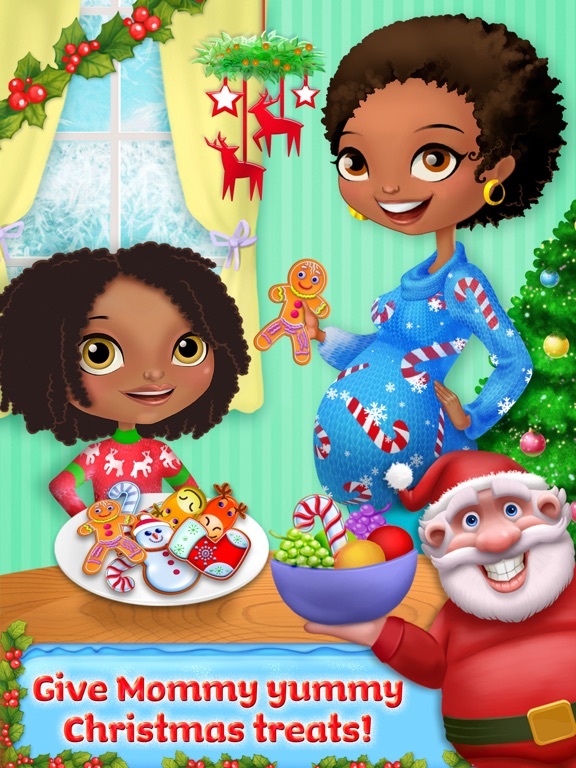 Dress up the new baby in holiday clothing, buy her beautiful presents and so much more! Ho, ho, ho! 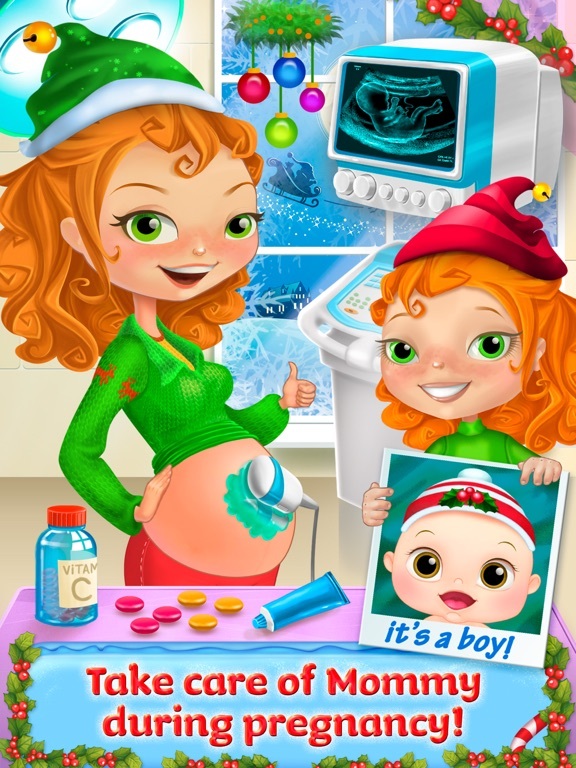 Santa’s bringing you a baby sister for Xmas! What could be better??? Help Mommy prepare for a beautiful new baby girl! 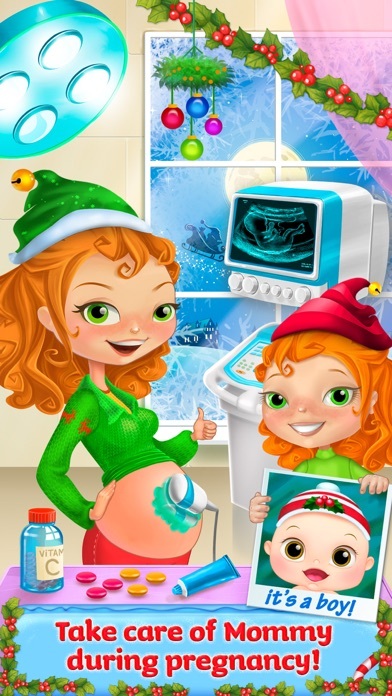 Give Mommy vitamins, listen to the baby’s heartbeat, and help decorate the nursery Xmas style! Get in the holiday spirit and dress up baby sister in adorable Xmas themed clothing and accessories. 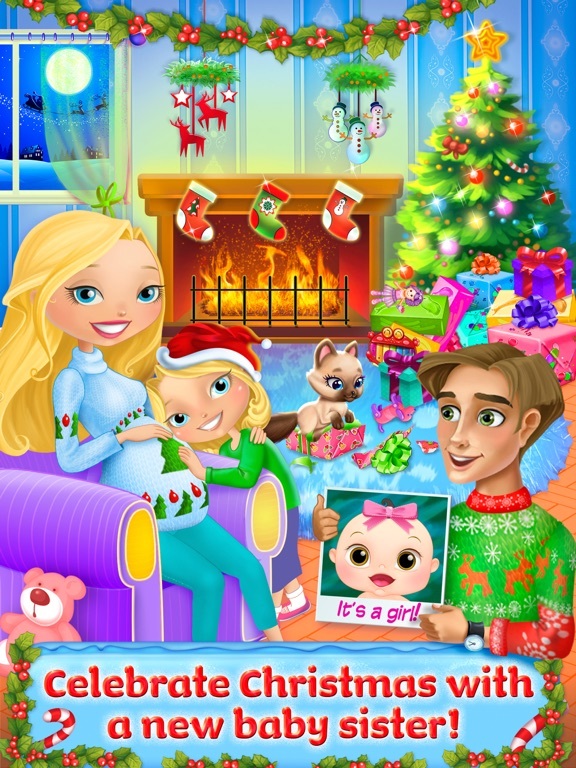 Love and pamper your amazing Mommy and newborn baby sister - Santa is sure to be pleased! > Have a jolly time with stockings full of merry activities! > Use the stethoscope to listen to Mommy and baby’s heartbeats! > Spoil Mommy with massages and special spa treatments! > Celebrate your baby’s first birthday with an adorable holiday party! > Decorate party invites and open presents! > Jingle bells, baby smells! Help Mommy change the baby’s diapers! 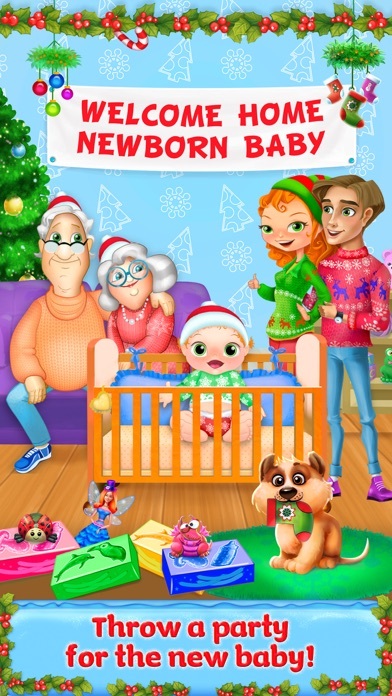 > Decorate baby’s nursery for the holidays! 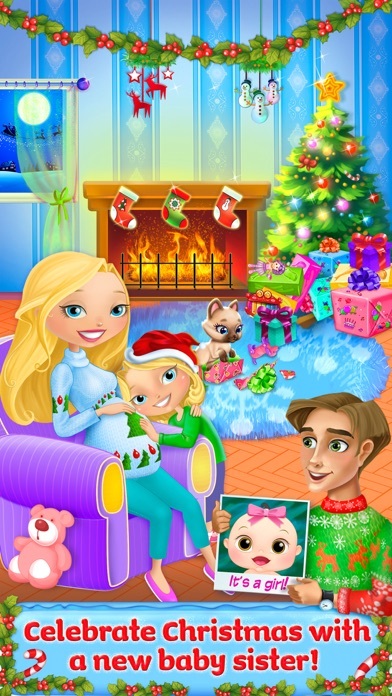 Dress baby up in Xmas themed clothing and accessories! > The best presents are handmade! Knit your new baby cozy winter outfits!